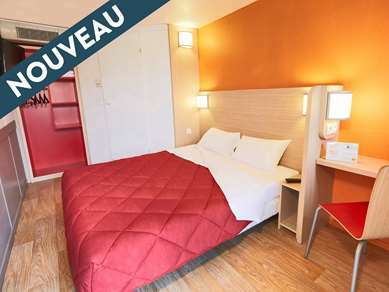 Hotel Première Classe Meaux-Nanteuil-les-Meaux, an affordable hotel near the town of Meaux offers a comfortable base from which to explore the cultural heritage of the town and surrounding areas. 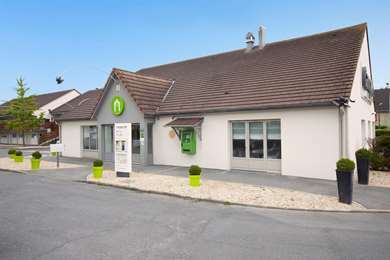 Our hotel at Nanteuil-lès-Meaux provides affordable accommodations to business travellers and tourists in the Meaux and Marne-la-Vallée regions. You can get here by highways A4, A140 (exit 2, Meaux/Nanteuil-lès-Meaux) or by national highway N3 (exit Villenoy/Meaux-centre). 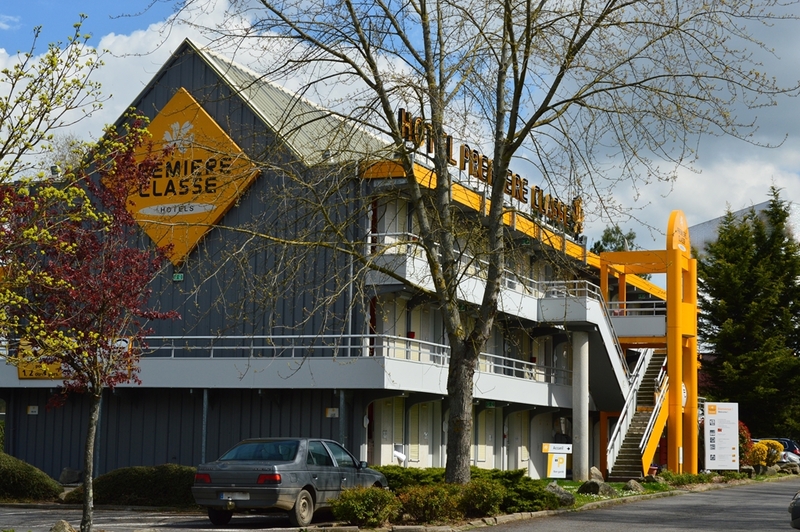 Our Hotel Première Classe is located just 5 minutes from downtown Meaux. You will be 12 miles from the Chessy-Marne-la-Vallée TGV train station (directly served by a bus line with a stop ten minutes on foot from the hotel). 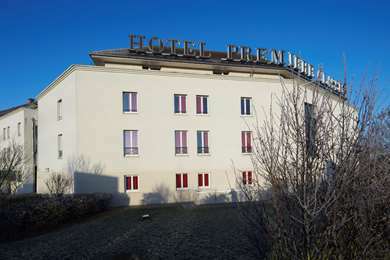 Hotel Première Classe Meaux – Nanteuil-lès-Meaux is 32 miles from Paris. For your leisure time, Parc Astérix is 34 miles away, the Parc des Félins is 21 miles away, and Disneyland is 12 miles away. The City of Meaux, the capital of Brie, is only 2 miles from the hotel and boasts an exceptional cultural heritage. The city center, the cathedral, the ramparts and museums await you (including the Bossuet Museum and the Museum of the Great War). 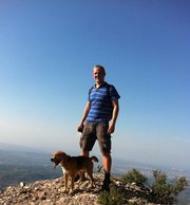 For nature lovers, the Pâtis Regional Park is home to a rich and varied flora and wildlife. Easily accessible by public transport, take a direct train to Paris from the Meaux train station and discover the capital’s marvelous sights and world-famous cuisine. Sports lovers will also enjoy the Boutigny-Meaux International Golf Course. For shoppers, there is the Val d'Europe shopping center, located just 12 miles away: 160 boutiques and many restaurants, not to mention the Sea Life Aquarium, await you. 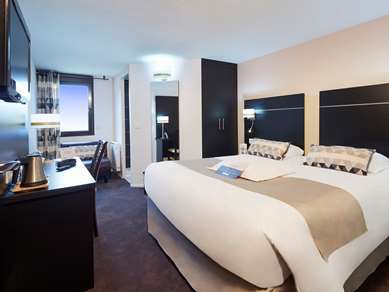 The 70 rooms at Hotel Première Classe Meaux-Nanteuil-les-Meaux can comfortably accommodate 1, 2 or 3 guests. 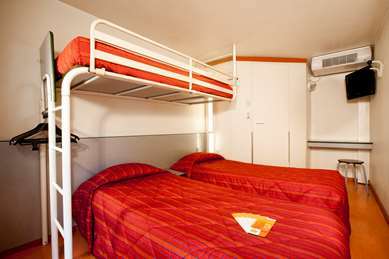 Nineteen of our rooms have 2 single beds and a bunk bed, 49 have a double bed with a bunk over top and 2 have a double bed only. 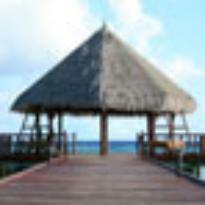 Two of the rooms are specially adapted for people with reduced mobility. 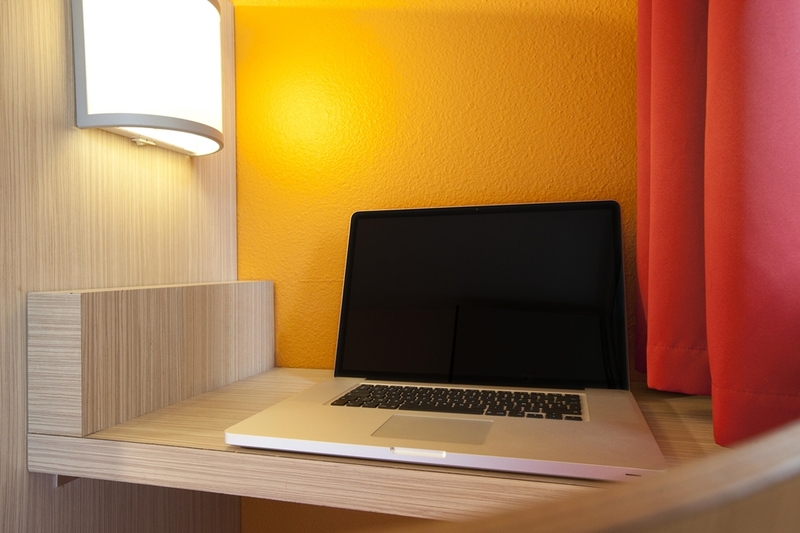 All our rooms are cozy and practical, equipped with a private bath with shower and toilet, and unlimited free Wi-Fi. For your lunches and dinners, why not take advantage of a 15% discount at Campanile Restaurant in Nanteuil-lès-Meaux, right next to our hotel. 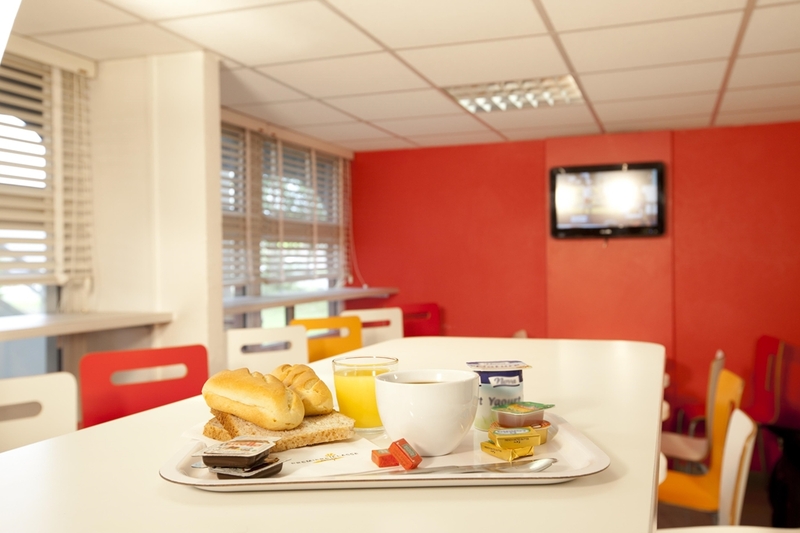 Fill up on energy at our all-you-can-eat breakfast buffet, for just €5 at Hotel Première Classe Meaux – Nanteuil-lès-Meaux. Breakfast is half price for children up to age 10 (offer valid for paying guests and limited to two children per adult purchasing breakfast). "Great value and close to Disney"